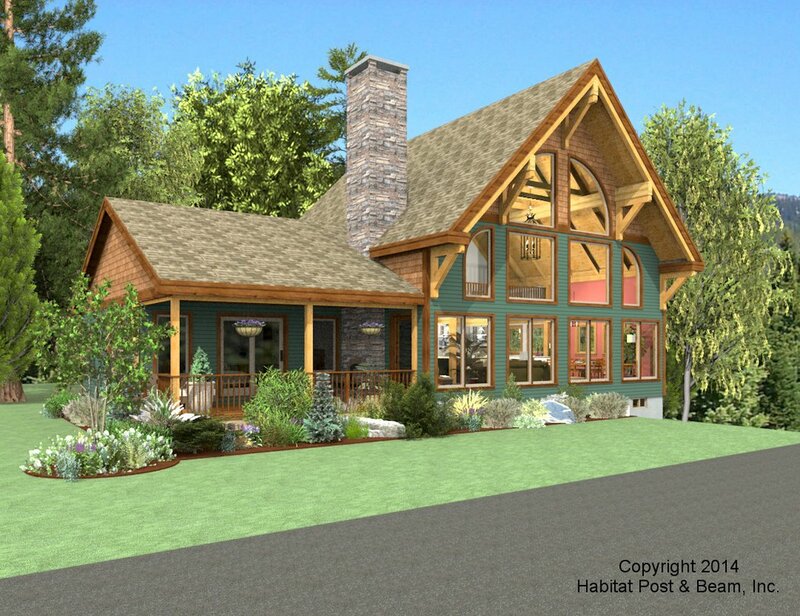 This home is a take-off of our Bosque Prow design, but was made to feel more like a Craftsman Lodge. 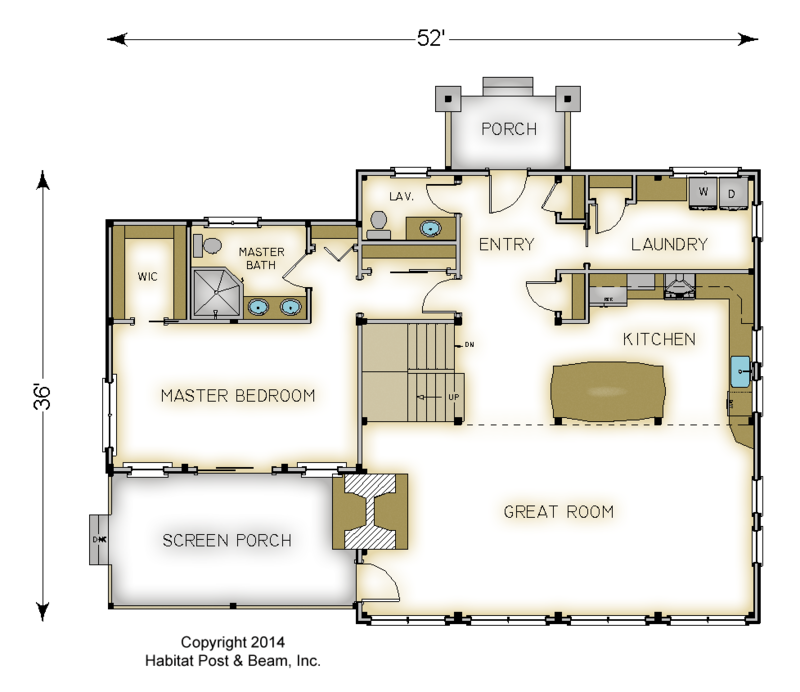 It has an open kitchen, dining and living room and first floor master suite. 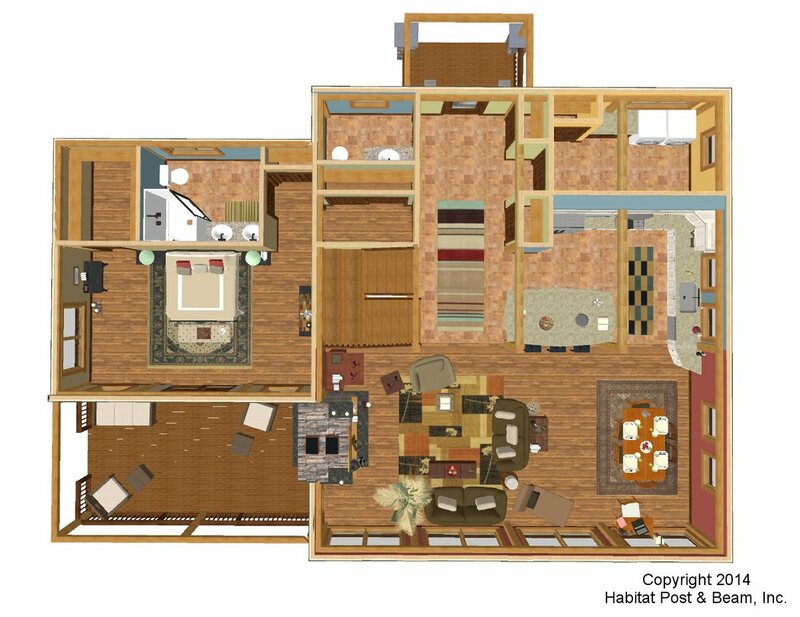 The upper level has a 2nd bedroom suite and loft. Most designs can be adapted to add or remove walkout basements, garages, porches, etc., as desired (framing materials by owner/contractor). 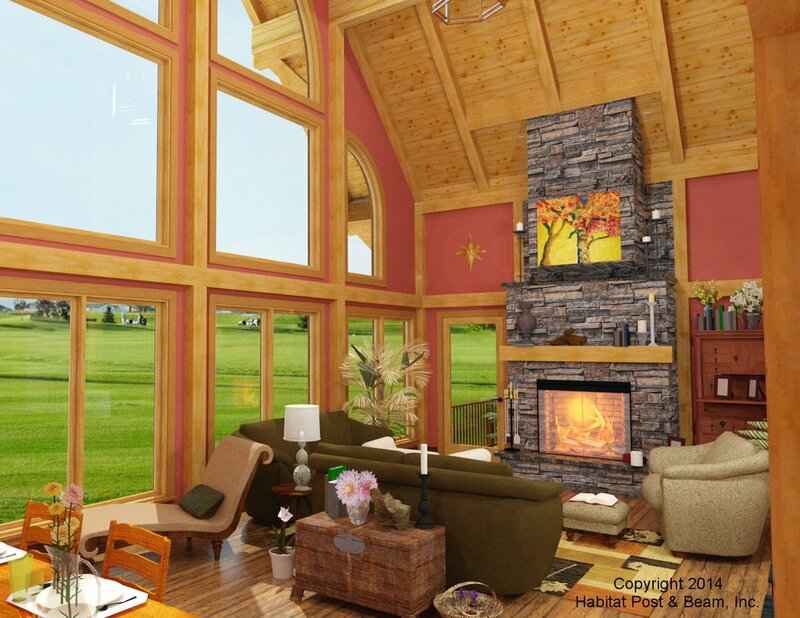 Package Price: $206,000 as specified below (from $177,000 to $226,500 depending on framing options). The standard price includes our Full Exposure Wall System, Plaster and Beam or Beamed Mid-Floor System (same package price), our Beamed Roof System over living and loft, and our Plaster and Accent Beam Roof System over the bedrooms. The entry porch is our Beamed Porch System, while the screen porch is our Liner Porch System with a flat ceiling. 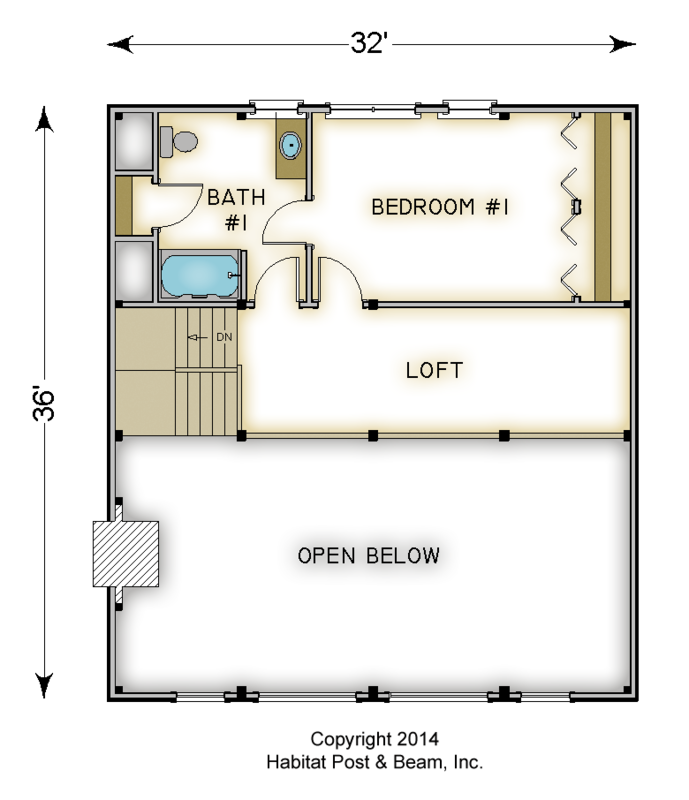 The walkout level garage is not included in the above pricing.